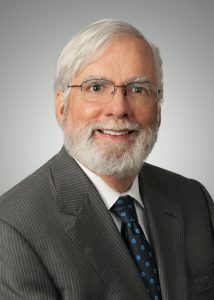 On June 23, 2011, the AIPLA Chemical Patent Practice Road Show will go on in Chicago, emphasizing prosecution and litigation strategies, in both patent drafting and opinion work. Apart from the expertise of the speakers, which is uniformly high, these seminars tend to be a bargain compared with the price so many of the commercial CLE providers charge for programs that are as short as one day. I, along with my partner Dan Kluth, Rochelle Seide, and a few others (Lisa Dolak was often roped into doing the ethics portion for both audiences), revived an even earlier version of this concept which, on the chemical side, was entitled “Basic Chemical and Biotechnology Patent Practice Seminar.” Both the Chemical Group and the Computer Law Group organized one, to try to maximize the total audience. Then we really hit the road, doing three one-day sessions in 1994, 1996, 1998 and 2000 in three cities – East Coast, Midwest or South, and West Coast – in a relatively short period of time. Not everyone did all three cities, but some of us did! It was hard work for the AIPLA staffers, but they always came through, and we all really felt like a “band on the run” by the time the last one was over. This entry was posted in Conferences and Classes and tagged AIPLA, biotechnology, biotechnology law, intellectual property, ip, IP law tools, Patent Law, patents, Warren Woessner. Bookmark the permalink.